Never miss a session from a ding again! This Session Saver is a quick fix keeping you on the water and in the action. Simply cut off a small chunk to fill the ding, mix the core with the skin to make a grey 'play-do' like texture and apply to the board. In ten minutes it'll be rock solid and you're good to go. 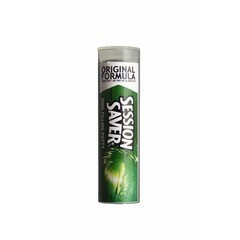 It truly does what it says on the packet and saves your session.